Why is Event Session Tracking Important? Sessions are the building blocks that create a great event. They help you attract the best attendees and bring excitement and credibility to your brand. Without session tracking, understanding how your attendees respond to different sessions and presenters is at best, wishful thinking. Session tracking allows you to understand real ROI and session value based on actual attendee behavior. It shows how attendees respond through their physical attendance and dwell time at different sessions and enables accurate predictions about their interests and preferences. Is this really valuable? Yes. Valuable sessions are the ones that deliver relevant content. Regardless of topic, by capturing the interests and respect of your attendees, you have captured the holy grail of event success. Sessions that deliver interesting and insightful content are the sessions that get shared, talked about, and referenced back to coworkers and friends. They are valuable, not only because of killer information, but because they are covert marketing vehicles that promote your event in a viral way. Think of them like fertilizer that jumpstarts the growth of your influencer communities. Attendee investment of time and attention also reveals what they actually value. Session tracking quantifies this investment. It shows what topics, speakers, and overall sessions are trending. By unearthing what is popular, event organizers can plan better for future events. They can relay this key data within the company and to outside sponsors as a gauge for making decisions with sales, marketing, and operations. This information can also be a useful indicator for agenda planning. What sessions deserve an encore performance next year? Which ones need a finale, and fast? Session tracking makes these decisions easy. It shows what session timeslots fill fastest and allows organizers to look at this information in real time and pivot before it’s too late. On an attendee level, session tracking shows who the real power players are. It can help identify main influencers based on session attendance and quantify the value of their purchasing power. Beyond planning and marketing, session tracking is a critical component for continuing professional education (CPE) credits. Organizations like the National Association of State Boards of Accountancy (NASBA) require continuing education and mandate that an individual verify his/her attendance beyond personal account. CPE providers must employ additional attendance monitoring procedures, and this is the perfect arena for session tracking with tools like LOOPD. This formerly tedious requirement is now a breeze; attendees no longer need to worry that attendance recording and reporting will be lost amid other event details. Attendees value onsite event technology that makes session check-in and check-out smooth and painless, and event organizers enjoy the added ease and accuracy. 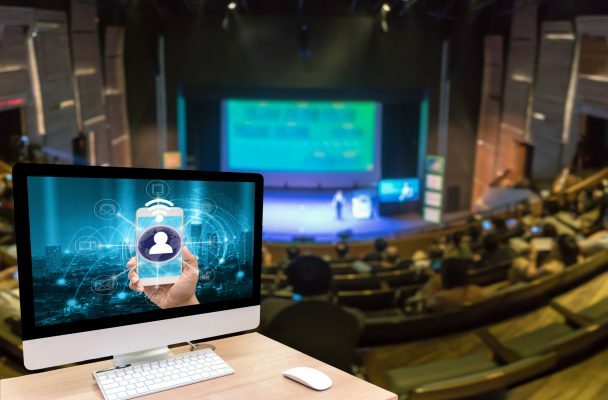 When event technology replaces manual methods of headcounts and paper sign-in sheets, meeting organizers can ensure that every attendee earns the CPE credit he/she deserves, every time.